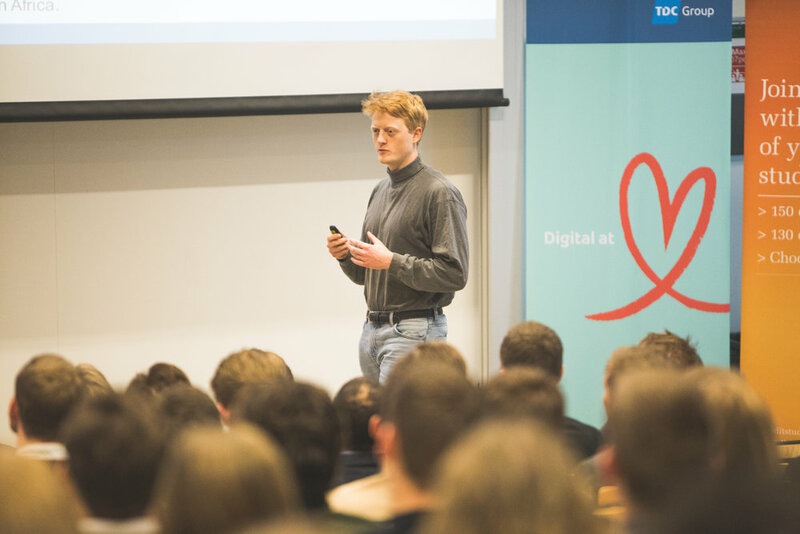 On March 17 and 18, Polit Case Competition 2018 took off with some inspiring days filled with problem solving, team work and presentations. This year’s case evolved around Haldor Topsoe and its businesses in Africa. Haldor Topsoe is a global leader in catalysis and process technology driving optimal performance within e.g. chemical processing. The participants were asked to pinpoint the optimal African country for Haldor Topsoe to enter and estimate the socio-economic impact of using ammonia in agriculture. After 8,5 hours of case-solving on Saturday and presentations by each team in front of a small panel of judges, three teams were chosen to present their solutions in the final on Sunday. These teams were Team Helmig, Case Crunchers and Team High Energy Data Solutions. 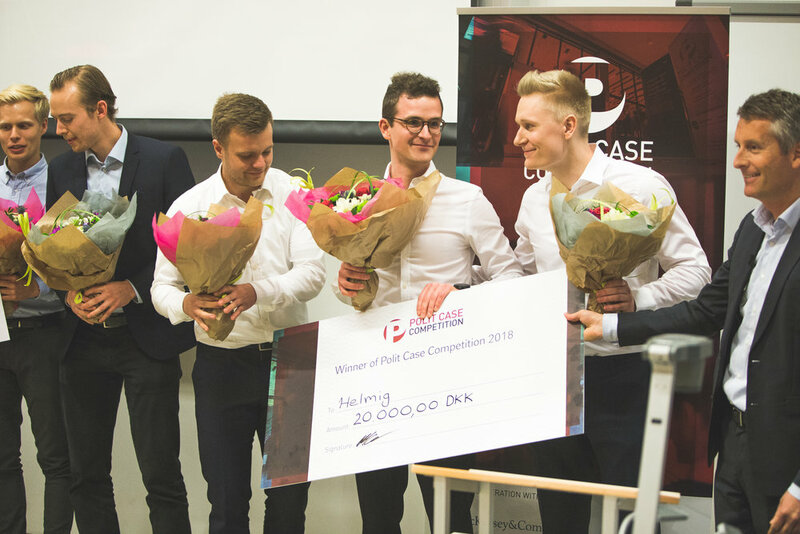 All finalists delivered excellent presentations in front of almost 250 spectators, including judges, other participants, students and Haldor Topsoe employees. In particular, Haldor Topsoe was represented by Jakob Topsoe, the Chairman of Haldor Topsoe Holding and grandchild of Haldor Topsoe. 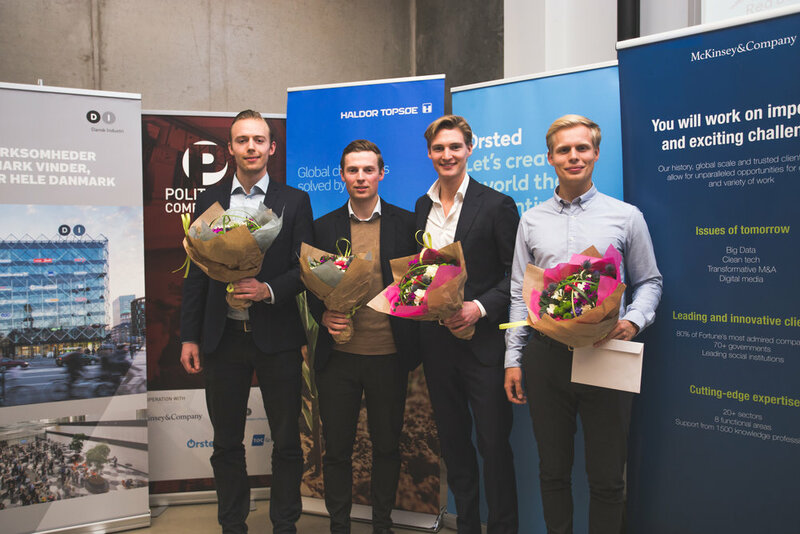 The panel of judges selected Team Helmig, consisting of Ebbe Faurschou (KU), Thor Snedker Brandt (AU), Thomas Gadegaard Saaby (AU) and Mads Elkjær Poulsen (AU), as winners of Polit Case Competiton 2018. Team High Energy Data Solutions came second while Case Crushers ranked third. You can find both the case material and the winning presentation on this website in the sub-menu past cases. The winner of this year’s award for the best team name was Horsens’ Økonomiske Råd, a pun on the relocation of the Danish Economic Councils. The team behind Polit Case Competition would like to thank all the participants for making this year’s event a great couple of days. The judges were very impressed with all your solutions. A special thanks to our partners and sponsors for making the event possible. We hope to see all of you next year!